Hello readers, in my Thanksgiving greeting from last week I hinted that I was nearing completion of a new edition of my book Linux, Programming and Hacking for beginners. Now I am formally set to make the announcement official. This second edition of my 2016 book is currently set for a December 31st release on Amazon Kindle. The new edition will feature more content, bug fixes in code examples and removal of a few ugly typos. Since the beginning of the year I have been going through the first edition with a comb – highlighting what I felt was wrong or needed improvement. Though I was pleased with the first edition I opted to look at the second edition from the viewpoint of somebody who never used Linux. Or has knowledge with programming, or hacking. As such a lot of the text has been altered. In addition I felt that some of the programming assignments were a bit rudimentary. Although the first edition went beyond the simple ‘Hello, world!’ examples I felt more practically scripts were necessary that users could alter and expand. This way every chapter feels as though it has more meaning. In the second edition I added several Python homework examples such as creating a NMAP clone, a password generator and a small game. The final part of the book has also been expanded. The basics of hacking or penetration testing is complemented with more in-depth examples. For a better description of the alterations check out the Amazon page for Linux, Programming and Hacking for beginners. 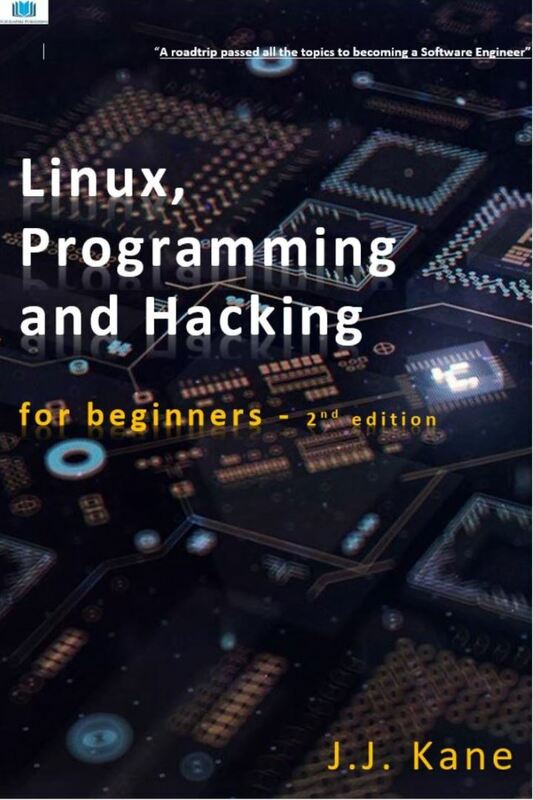 The second edition of Linux, Programming and Hacking for beginners is available for pre-order for $ 2.99. Currently Amazon does not show the cover, but I am assured it will be there in a day or two. Below you can see what the cover looks like. I hope you will find my book intriguing enough to purchase. I doing so you help me support this site with more content. Introduction to Swift for Ubuntu in one easy tutorial!